That will exceed all expectations! Welcome to the Riverport Conference and Event Center in Winona MN. One of Winona’s premiere hotels. Business travelers to our area appreciate our close proximity to major area companies and institutions from Fastenal, BCS, RTP, Winona State University, and Saint Mary’s University. Upon entering, you will be greeted with a friendly smile from our staff, elegant surroundings and a relaxing atmosphere. Our lobby and reception area boasts a beautiful, blazing fireplace. Just beyond the lobby, you will find a luxurious indoor pool and a soothing hot tub. It’s just the perfect way to start a wonderful night’s sleep. 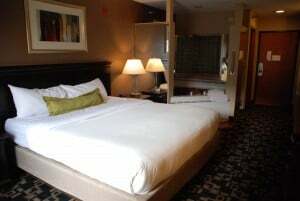 Enjoy Great Lodging and Spectacular Scenery of Winona, Minnesota. Winona is one of the most beautiful places in the country, and nestled between majestic river bluffs and the mighty Mississippi River are where the Riverport Conference and Event Center and Express Suites reside. The historic architecture and cultural opportunities give Winona a soul that is living, breathing, and growing. Don’t miss out, plan your next business conference on the historic island city, Winona, Minnesota! 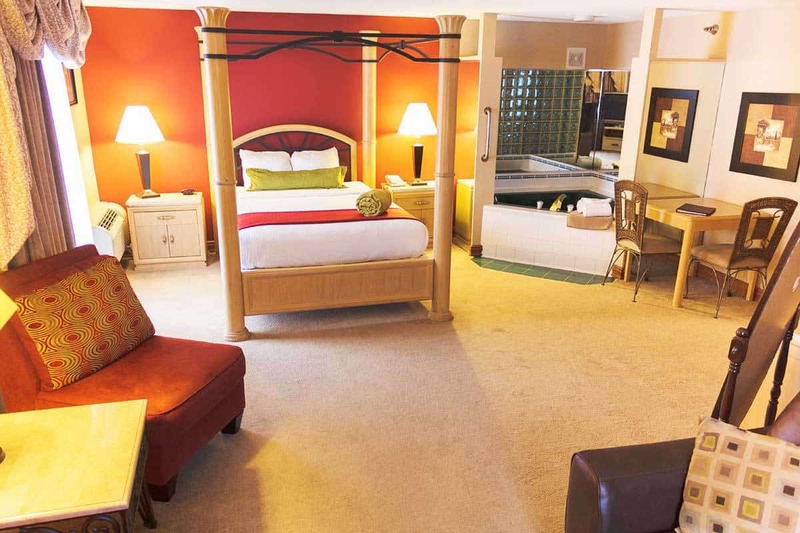 If you desire a perfect getaway try one of our Specialty Suites. Transport yourself back to a time when things were simpler in one of two ’50s decorated fantasy themes. We have the best package deals and rates for you while visiting the Winona area! 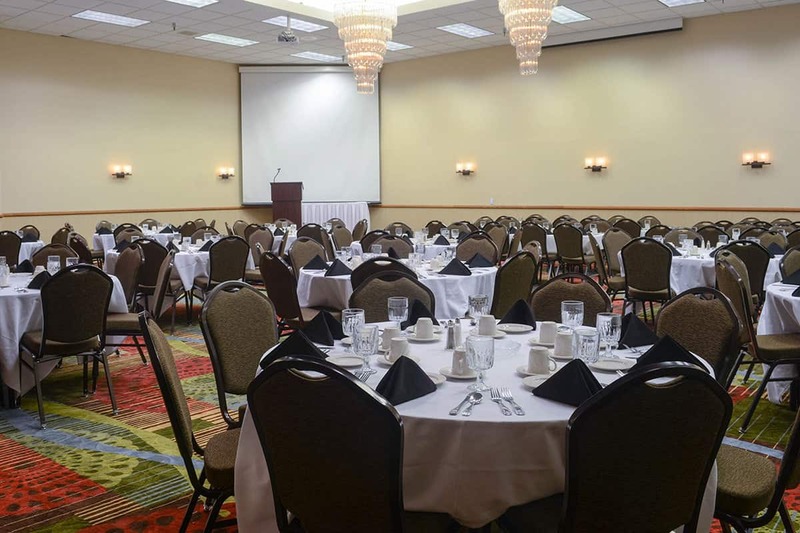 Banquet rooms and meeting rooms available for wedding receptions, fundraising events, family reunions, holiday parties, banquets, sales meetings, trade shows and more. 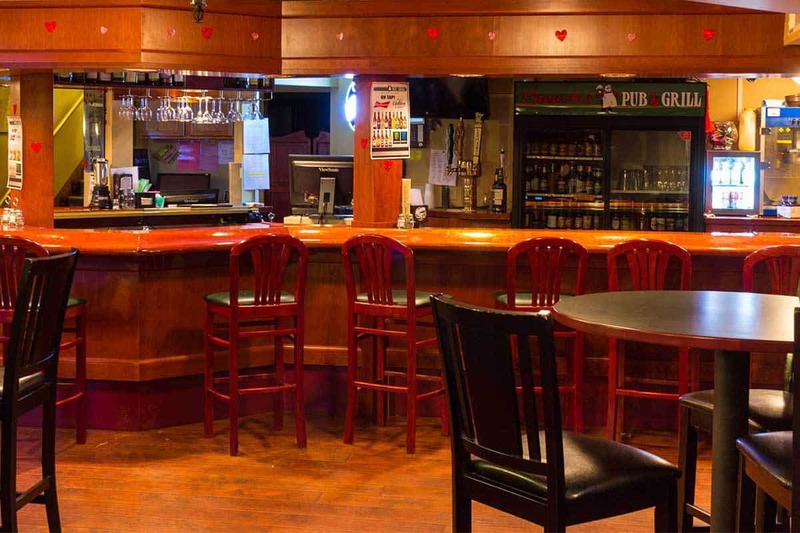 Located off the lobby, the newly renovated Brewski’s Pub & Grill offers everything one expects from their local neighborhood pub and more!